When I moved into an apartment after college, I started to cook simple meals and bake uncomplicated desserts. Not knowing much, I used the Joy of Cooking as a reference for ingredients, temperatures, times and recipes. 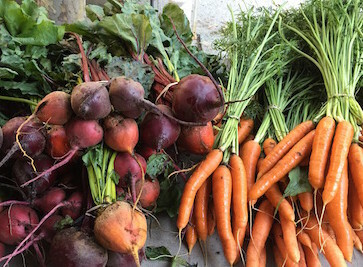 But when I started to take occasional cooking classes, I realized there was another, healthier and more creative world of cooking out there and my resources shifted to Moosewood, Vivian La Place, and Laurel Robertson. As I read the New York Times and Gourmet, my eyes opened to a culinary world I could only have hoped to know when watching Julia as a teenager. I still enjoy reading cookbooks and cooking memoirs, just for the pleasure of the read and I will add to this list from time to time. 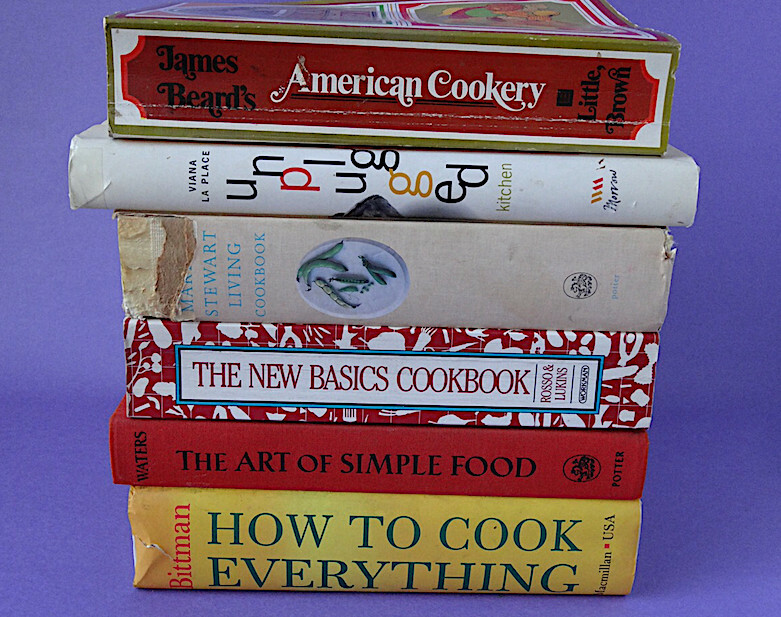 There are five cookbooks I use so often that they have broken spines and dog-eared pages. Recipes are well-splashed and, in some cases, torn and worn through in spots. One (the Brody – which I inherited from my husband when he moved in long ago) is held together with duct tape. 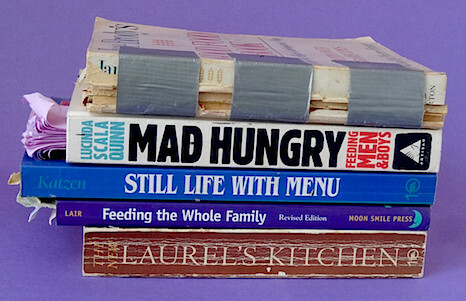 I came into my own in the kitchen cooking from these books and will be forever indebted to their authors. The last is a more recent publication but I have used it so much that it belongs in this category. 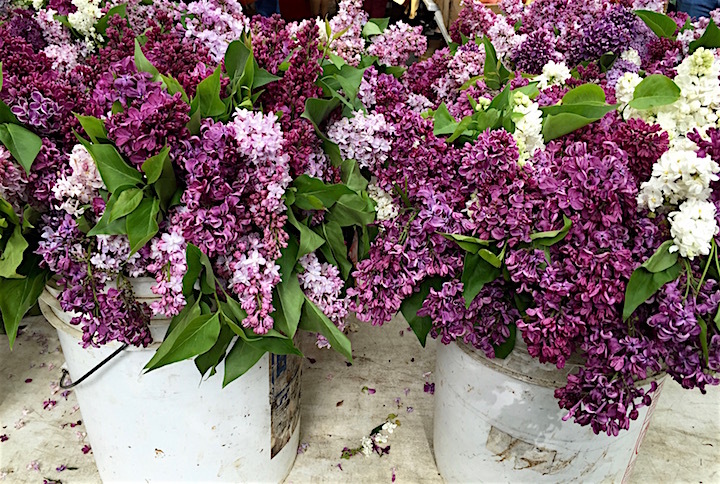 Plus my teenage son loved every recipe I made from it – thank you, Lucinda! When I’m not sure or simply don’t know how to cook something, these are my go-to books. This is especially true when I want to cook meat – not my strong suit because I didn’t eat it for years. These books are my reference library, in addition to the foundational cookbooks I listed above. These “reference” books contain some my favorite recipes and cooking advice. The Beard is a compendium of traditional recipes like baked beans, chowders and all kinds of meat and seafood. La Place is my fallback source for a simple, fresh dish with Italian sensibility or flavor. Stewart’s “101” recipes are wonderful if you’ve never made something basic, like roast chicken, and need hand-holding and guidance. I learned to make a very tasty ham from Rosso and Lukins and they have lots of helpful party planning tips, including drinks and menus. Waters cooks many different vegetables, has a great pan-fried pork chop recipe, among others, and is full of charming drawings. And the Bittman is useful whenever you want to check at what temperature to cook a roast or fish or find a simple technique for boning or chopping something with step-by-step illustrations. All make good reading as well as reference.